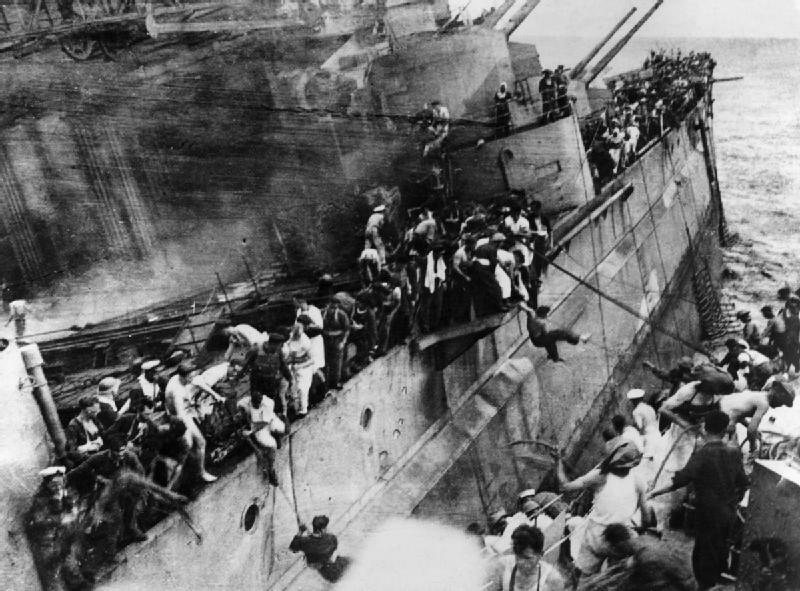 The British battleship HMS Prince of Wales and battle cruiser HMS Repulse were sunk by land-based Japanese bombers north of Singapore, off the east coast of Malaya on December 10, 1941. The sinking of these proud ships struck a serious blow to Allied morale. More importantly, the Pearl Harbor attack and this Malayan engagement demonstrated that even heavily-armed ships that were not protected by air cover were quite vulnerable to air attack. Thereafter the Allies placed heavy emphasis on aircraft carriers over battleships.